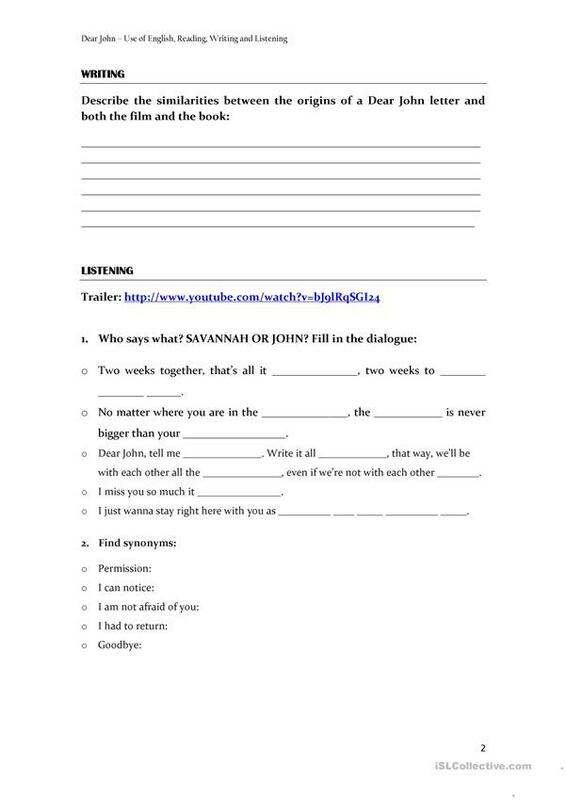 DEAR JOHN - USE OF ENGLISH, READING, WRITING, LISTENING. Printable based on Nicholas Sparks's novel and the film. 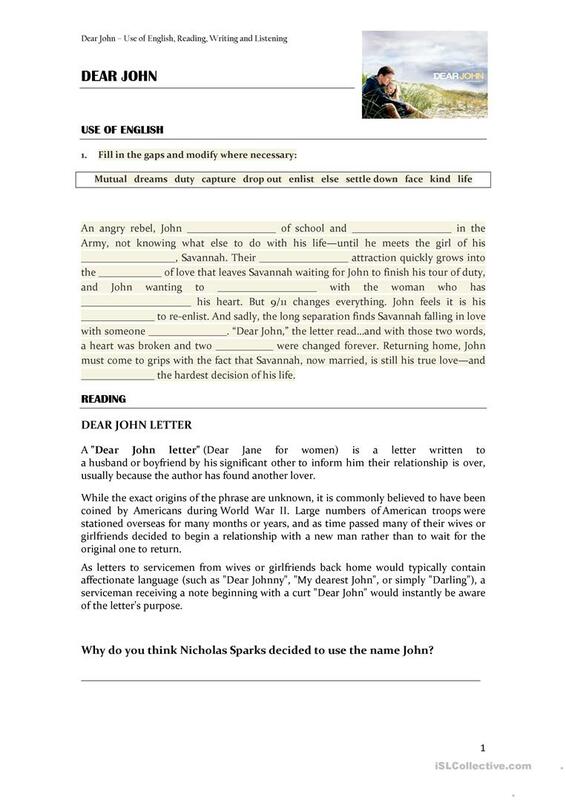 READING: Origin of a Dear John letter. WRITING: Similarities between the origin and the titile. USE OF ENGLISH: Fill in the gaps and modify where necessary. LISTENING: Trailer - who says what, fill in the gaps, look for synonyms. This downloadable worksheet is recommended for business/professional students, high school students and adults at Intermediate (B1), Upper-intermediate (B2), Advanced (C1) and Proficient (C2) level. It is a valuable material for enhancing your learners' Listening, Reading and Writing skills. MGregorio is from/lives in Spain and has been a member of iSLCollective since 2012-09-22 17:40:41. MGregorio last logged in on 2018-05-17 12:28:35, and has shared 26 resources on iSLCollective so far.